1. Preheat oven to 350 degrees. In a small saucepan, combine oil, butter, garlic, and salt. Heat over medium-low heat until butter is melted; remove from heat. 2. Cut the bread in half lengthwise, then cut each half crosswise into 3 pieces. Then cut each piece into four ½ inch sticks. Brush the breadsticks with the garlic-infused mixture. 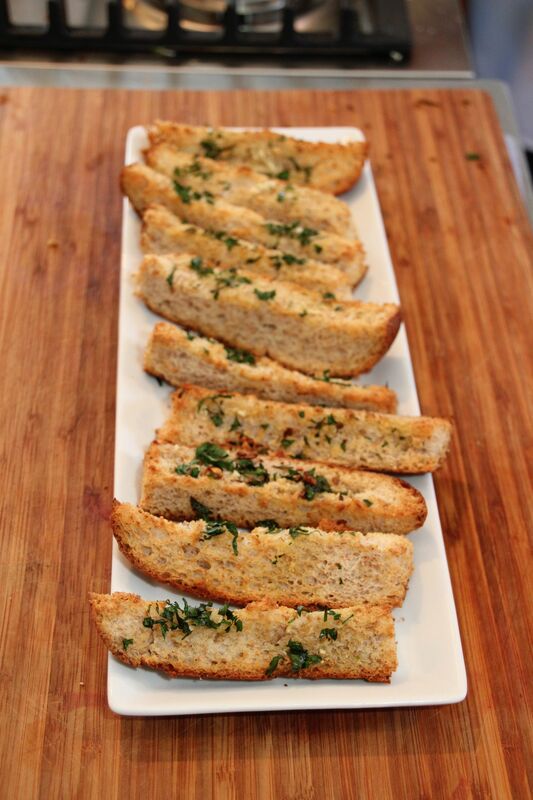 Sprinkle with parsley, and place on a baking sheet. Bake until the edges are golden brown, about 18-20 minutes. Nutrition per serving: 200 calories, 9g fat, 26g carbs, 2g fiber, 4g protein. 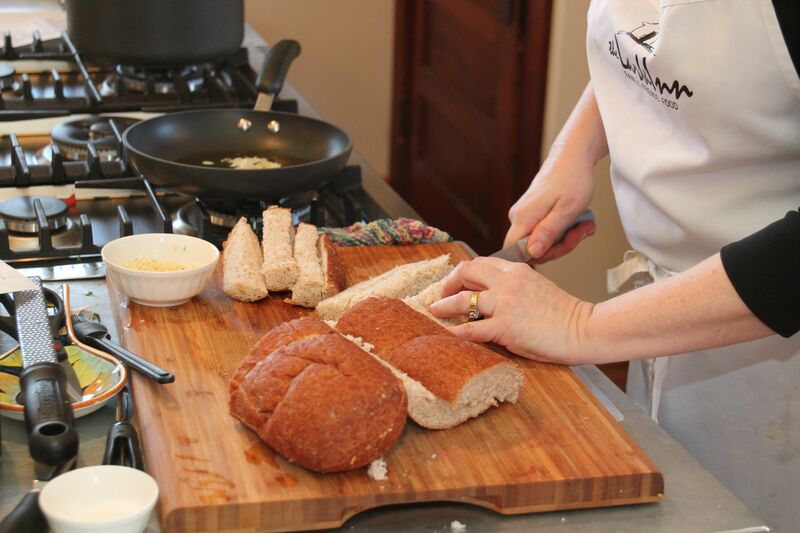 For more information about our recipes and gourmet cooking classes, visit my website.